Welcome to our 14th international waterpolo tournament! Amsterdam swimming club Het Y is proud to organize the 14th international waterpolo tournament in Amsterdam. For the 10th time ‘De Mirandabad’ will host this tournament. It will be a perfect opportunity to prepare yourselves for the coming season and have fun at the same time! We organized a boattrip and pub-night on Friday to get to know your opponents. On Saturday waterpolo matches will be played, followed by a barbecue and music till 23.00h. Afterwards you can visit and discover our city. On Sunday there will be more waterpolo, finals, and the award ceremony. In this booklet you can find all the information you need. We hope you will enjoy the weekend! Any questions? You can recognize us by the white shirts at the tournament! The waterpolo balls are sponsored by MTBsport. Please visit www.mtb-sport.net for more info. The tournament entrance (do not use the pool main entrance!) is at the President Kennedylaan (see map) and will be open day and night. You can’t miss it: The information stand is right in front of the entrance. You can only enter the tournament area with your tournament badge, which you will get after registration (each team member will get one)! Our night security will ask for it! Drugs, bottles and glass are strictly prohibited at the tournament and camping areas! Help us keep the area clean: throw your rubbish in the containers. There is always one nearby! Return to the pool area is not organized by us; you can take tram number 4 or nightbus 354. Make sure you have the address and name of the pool with you. Also, be sure to bring your tournament badge as the guard wont let you back on the pool area without. You can buy your breakfast (5,-) and lunch at the pool area. At the beach volleybal field, you can sign in to play some volleybal between your waterpolo matches! If 2 teams sign up for the same time slot, you got yourselves a game. You are your own referee. Saturday you can enjoy our famous Tournament Barbecue! The barbecue will start at 6.30 PM. There will be some music in the tent at the poolside. Afterwards you can visit and discover our city if you like. Time to party! Barbecue vouchers have to be reserved prior to the tournament. The price is 12.50. Saturday morning the last remaining barbecue vouchers will be sold for  15.00. Need new swimming gear, caps etc? Have a look at the MTB selling point! MTB-Sport, international agent of Turbo, will occupy the stand himself. Again we sell unique tournament shirts (black with white print) for only 10! 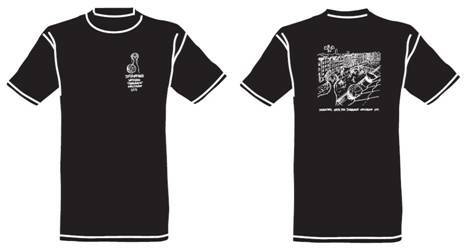 The IWTA 2014 logo is printed on this shirt to remember this years tournament in Amsterdam. Friday and Saturday from 9.00 – 21.00h its paid parking around the pool area. Its  2.40 per hour. At the RAI parking garage (a 10 minute walk) its 16.00 per day. Sunday is free parking. leave the pool area, turn left on the President Kennedylaan and turn right on Maasstraat. Keep walking untill you arrive at Rooseveltlaan, where you will find the tram stop for tram 4. This should be a ±7 minute walk. Central Station or Dam → Maasstraat/Rooseveldlaan. (20) 677 77 77 (or ask one of us). Fare (from pool to café Heffer = city center near red light district) should be around 20.00. For trams, metro and busses you need a Chip Card (OV chipkaart), available at tobacconist, post offices and (for a little higher price) on trams and busses. They are available in 1 hour cards, which is enough to take you from the pool to the city center. The 24 hours chip card is by far the easiest way of traveling and is also very economical. For just 7.00 you can make unlimited use of trams, buses, metro and night buses for a period of 24 hours. You can also purchase a ticket for 48 (11.50) or for 72 hours (15.50). Night bus: one way 3.50. If you come early you might want to store your luggage. If you come from the airport you can travel easily to “Amstel Station. This is a train station close to the pool where they have lockers. When you get back to the Amstel station Friday afternoon, after your day in town, from Amstel station you can take bus number 62, this will take you right to the swimming pool and tournament! Team must be ready 10 minutes before scheduled playing time. The first team mentioned (white caps) starts the match on the half of the field nearest to the showers. Every match lasts 2×12 minutes. Gross playing time will be used. Matches are scheduled in blocks of 30 minutes, so there will be 2 minutes rest between each half and 4 after each match. When sent off for a 20 seconds penalty, it will be converted to a 30 seconds gross penalty. No ’30 seconds’ rule (shot clock). 4th: 5-meters penalties in series of three. Men games on Sunday need to have a winner, referee will explainprocedure. 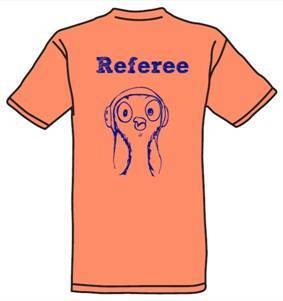 The head referee will handle all exceptional cases. The matches are scheduled in blocks of 30 minutes, with central timing from the center field (Orange). RiskCo De specialist voor uw financiële en actuariële berekeningen. Greek restaurant Dionysos Taverna offers 10% discount to all players!